“Bumblebees are our nation’s single most economically important native pollinator,” says Hollis Woodard, assistant professor of entomology at University of California, Riverside. But thanks to climate change, many parts of the country are getting hotter, making food harder for the bees to find. 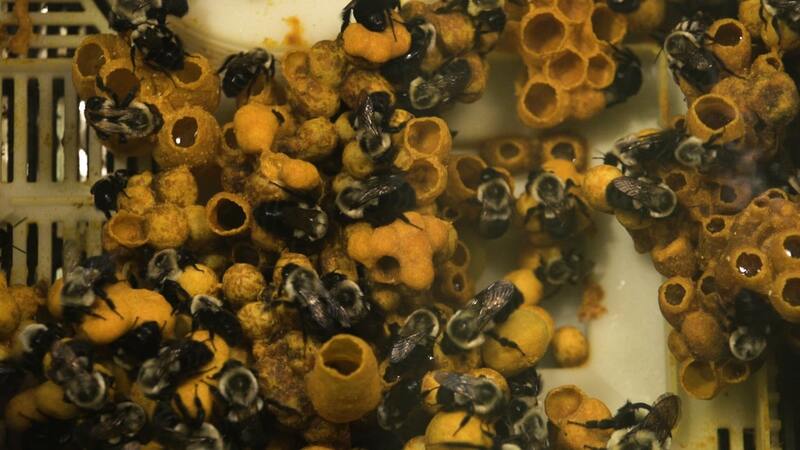 That’s what’s driving researchers like Woodard to study the biology, behavior, and physiology of our buzzing, black and yellow friends. In particular, she looks at queen bees. Bumblebees begin as eggs in a colony, then develop into larvae. At some point in that larval development, female larva develop into either a worker or a queen. Queens grow large and transform into pupas. One week after they chew out of their pupal case, they leave their colonies to go mate, then find nesting spots. This is the only time that queen bees fly out and about, making it a special window of time for researchers to capture the insects for study. But what makes a queen bumblebee? Researchers aren’t certain. In honeybees, workers feed the larvae royal jelly, and the bees that eat it emerge as queens. But bumblebees don’t have royal jelly, so they must be using a different mechanism. They’re some evidence that queens-to-be are fed more pollen and nectar during larval development. But there are more factors, which are studied by analyzing… bee barf. Bumblebees feed their larvae by regurgitating pollen and nectar. But researchers don’t know if there’s anything else in the bee vomit. 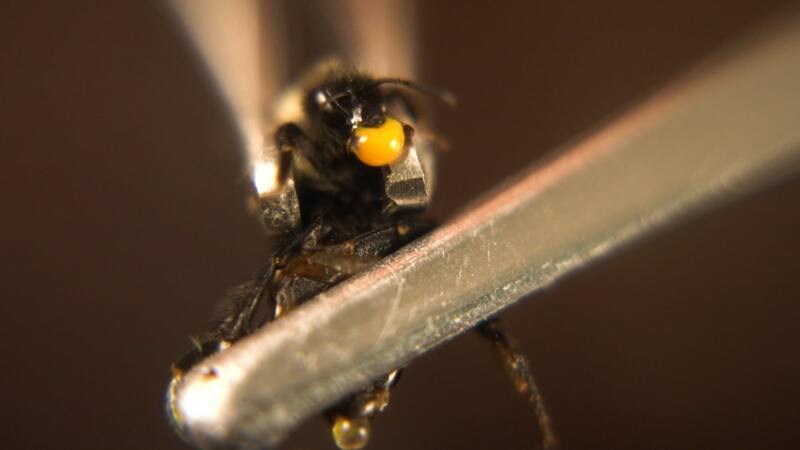 They can collect it by gently squeezing it out of the bumblebees, or simply waiting for them to upchuck after a feeding event and immediately pipette out the regurgitate. Then, they can analyze the large proteins, as well as look at the micro RNAs that can control gene expression in individuals that consume that regurgitate, explains Woodard. There are 4,000 types of native bees in North America, including species that secrete silk and others that build tiny towers.